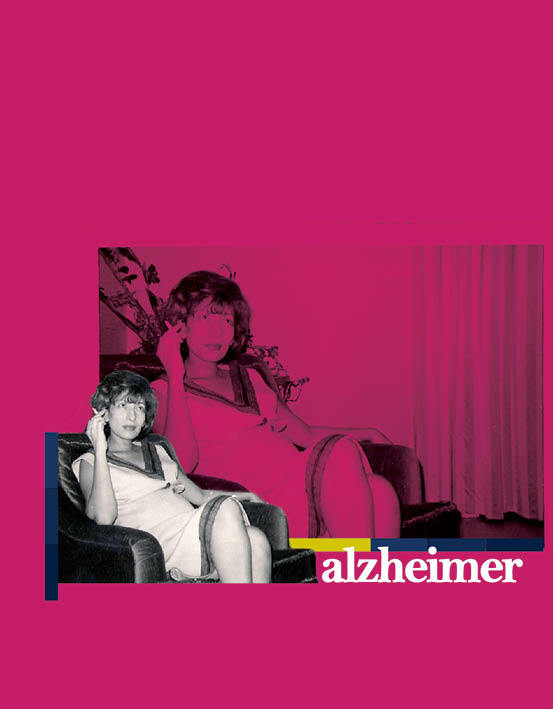 Alzheimer exhibition 2008, is followed by another series produced in 2012. The 1st series was showcased at the Art Circle gallery-Beirut. This collection came as a tribute to my grand-mother Rosy who has been living with Alzheimer. Twenty years ago, Rosy was always misplacing her glasses, pocketbook and Keys. Was this the beginning of Alzheimer’s disease? Last October, Rosy, my precious and unique Grandma has been diagnosed with Alzheimer’s disease. She does not recognize the synonym of the word Alzheimer but thinks that its intonation sounds like a mixture of German and Russian, and it would be a good idea to call my next exhibition Alzheimer, based on a drawing she first saw and admired. Rosy left Egypt to live in Lebanon in the early 50’s; she’s the mother of 8 children and 12 grandchildren. She started working at an early age to support herself and her family, and has obtained a secretarial diploma that helped her find a job at the TWA and then the British Navy. Today Rosy is 82. She still has a refined sense of humor and shares funny moments with the people surrounding her. While writing her daily diary, Rosy mentioned to me that there are things in her mind that are too confusing. Rosy has a strong will for survival; she survived the 2nd world war and all the conflicts Lebanon has been witnessing. In my opinion, Lebanon and Grandma share a glorious past, a hazy present and an unknown future. This exhibition is to their honor.11-12-2012 RIP Rosy.